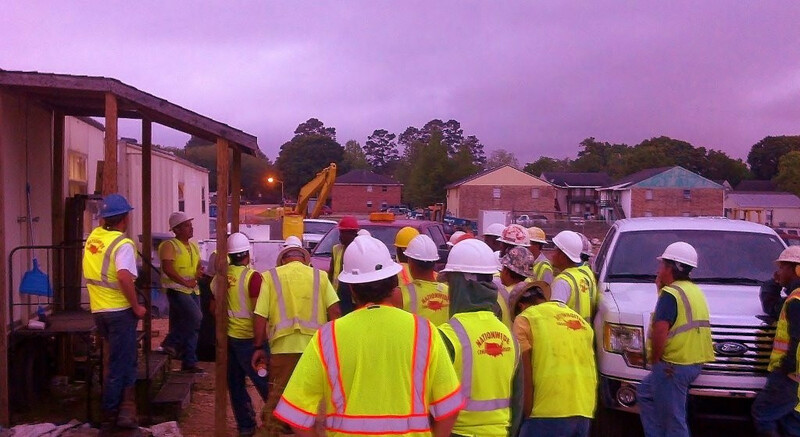 Crews at our Lafayette, LA construction site hold a safety "Toolbox Talk" prior to beginning the day's operations. The overall state of Nationwide Construction Group's safety culture is evident by the positive attitudes and safe behaviors of our employees. Workers and management alike are voicing their involvement in safety more than ever, resulting in a very favorable Experience Modification Rating (EMR) throughout the past nine years.